A delicious way to eat your veggies! 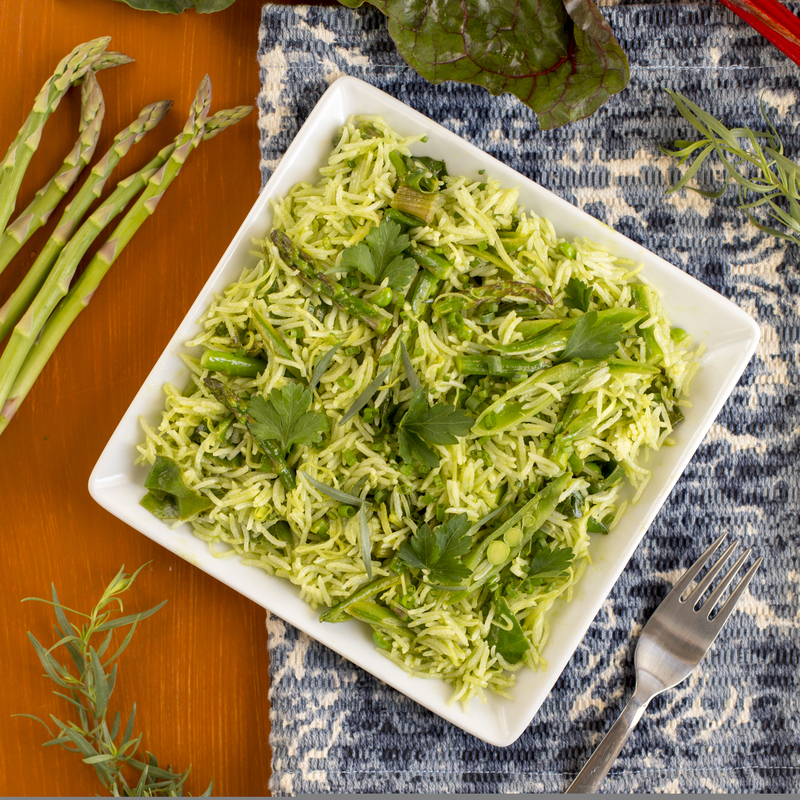 A tangy green vinaigrette tops off fresh spring vegetables nestled in a bed of aromatic Royal Basmati Rice. Place all ingredients for the vinaigrette in a blender and blend until smooth. Salt and pepper to taste. Set aside. For the rice, bring water to a boil in a medium sauce pot with a tight fitting lid. Add rice and salt. Reduce heat to low and cover. Cook for 15 minutes, or until water is absorbed. Fluff with a fork and set aside. While the rice is cooking, heating oil in a medium saute pan. Add leeks and a pinch of salt and cook 3-5 minutes, or until soft. Add asparagus, snap peas and charge and saute for 2-5 minutes, or until the chard begins to wilt. Set vegetables aside. In a large bowl, combine rice, vegetables, and vinaigrette. Serve warm or at room temperature.